Yes, they are. My love for banana recipes led me to this idea, found on Pinterest. 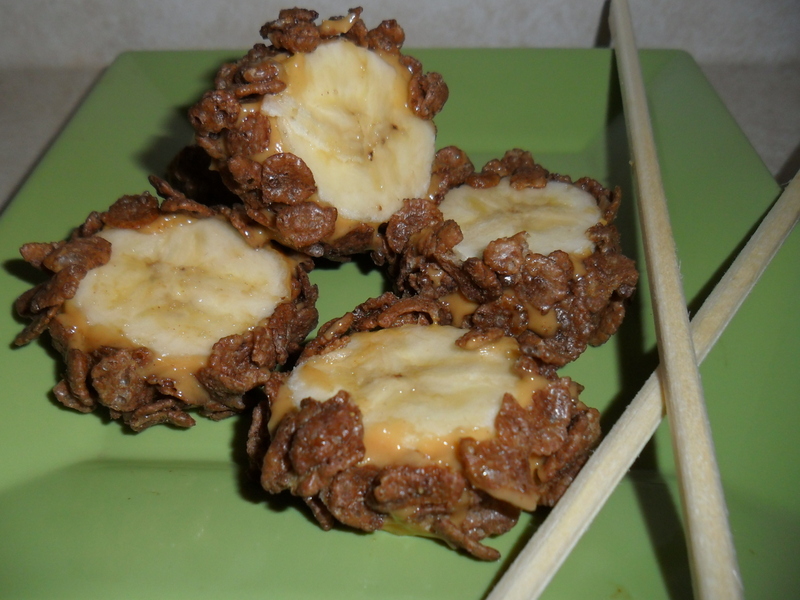 Just slice bananas, roll in nut butter, and then roll in rice crispies. 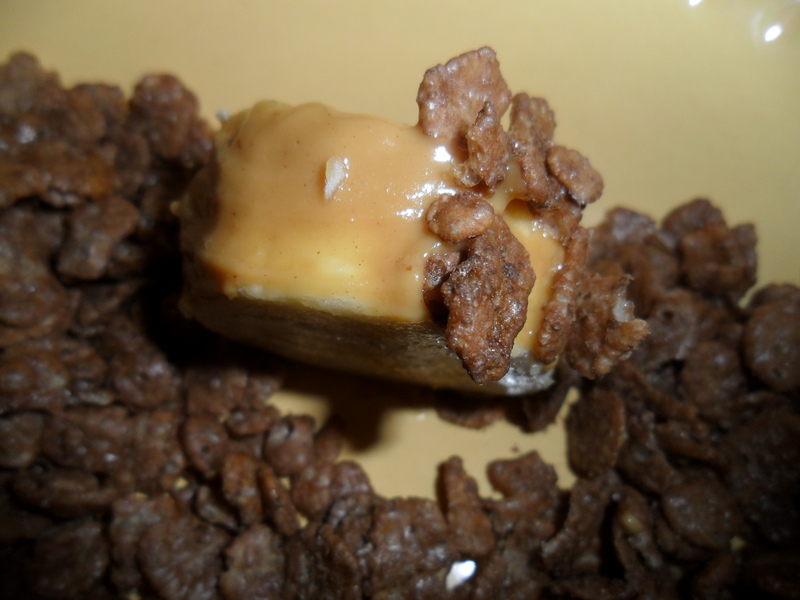 -Spread a thin layer of room temperature peanut butter around the outer edges of each banana slice, and then roll in the crispies. -I rolled each sushi one at a time, so that way the peanut butter didn’t melt off and create a big sticky mess. You could also roll these in regular crisp rice if you don’t like cocoa, but you could be really adventurous with this recipe! What other nut butters or “rice” options could you roll the bananas in? I’m thinking dark chocolate chips, other cereals (crushed if large in size), shredded coconut, raisins, cinnamon-stevia mix. Oh, yes. Will definitely be trying this sushi recipe again in a different way. Plus, it’s fun to dine with chopsticks in the early morning hours. Plus, it’s so easy to make that I barely strayed from my breakfast routine. Normally, I have a big bowl of whole wheat cereal, organic peanut butter, sliced bananas, a teaspoon of cinnamon, and almond milk. 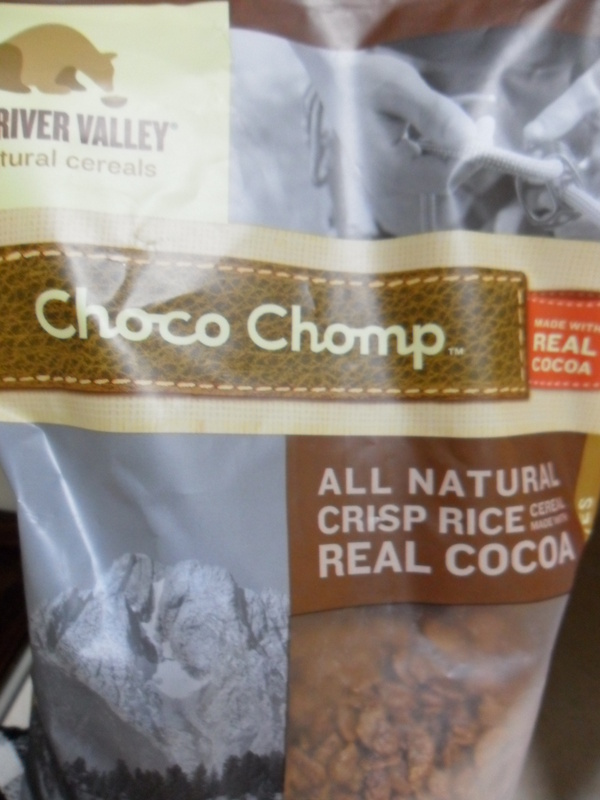 Coincidentally, though, I’ve been mixing half a cup of these all-natural Choco Champ Crispies by Bear River Valley with half a cup of plain puffed rice because although they’re tasty, they’re a a little high in sugar. I like the mix very much, though. I highly recommend it.